Deeper analysis is now available from Facebook private data. See an analysis from FB on Beauty Discussion in UK, Germany and France. You can find here the Facebook Analysis Beyond skin deep – Understanding Beauty Buyers on Facebook and Instagram. Contact us for our New Data Topic Analysis Service to discuss how we can use the new data to answer your business questions. The use of social media by both users and brands today contributes to the vast amount of available data and information. It is a real challenge to organize all the data and grouping it in a way that helps generate knowledge. The process of producing Actionable Insights from the "monster" of social media data is the beauty of social media data for brands and businesses. In the field of beauty and beauty brands, the impact of social media is enormous. The way brands communicate with consumers and consumers themselves with the brands has changed. 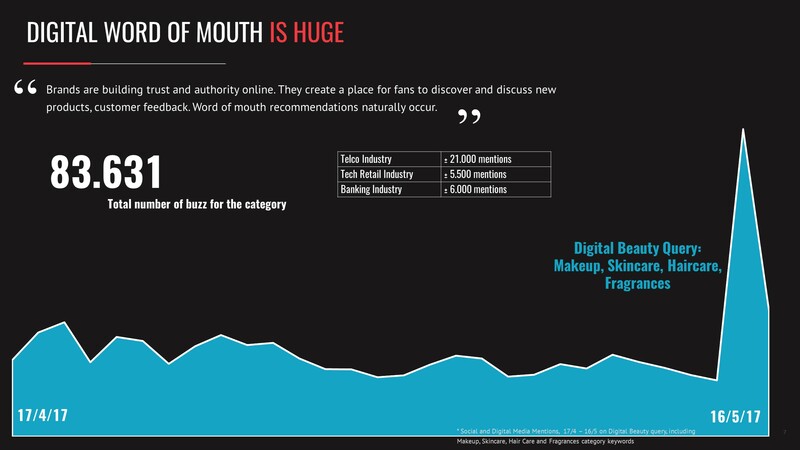 Digital Word Of Mouth, that is, all of the references in the category of Beauty, reaches extremely large numbers. Within only one month (17/4/2017 -16/5/2017), according to paloPro's analysis, all reports in the category reached the number of 83,631 which is the largest of all branches of the Greek economy. These refer to the entire category, covering the keywords of Makeup, Skincare, Haircare and Fragrances, and they concern only "public" data. If someone counts also the contribution of private data from Facebook, then the numbers really increase dramatically. It is estimated that public data is in fact only about 15% of private data disseminated on Facebook. It is known that the majority of Facebook data comes from private posts that we could not access until recently. Now Facebook gives us access to private posts with anonymous use. Only in 3 days and only for the Makeup category, private Facebook posts reached 15,700 references. These figures are enormous for Greek data, as 15,700 reports are about 4.5 times more than reports of the large telecoms category. So we know that the Internet community of beauty is colossal. It's actually a whole world with huge audiences and distinctive features in social media. In such an environment, beauty brands are called to be close to online discussions and try to import their brands into them. 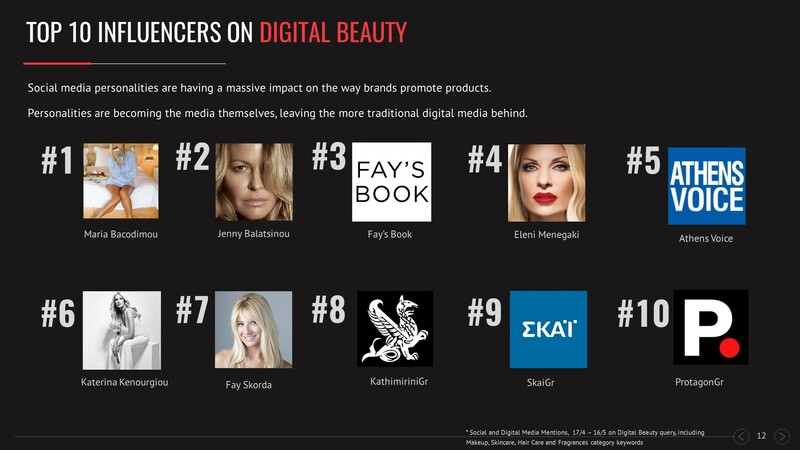 But it's not just the Buzz that touches huge numbers for the Beauty category in Greece. The impact of social media gains epic proportions as it takes into account all the followers exposed in each post. 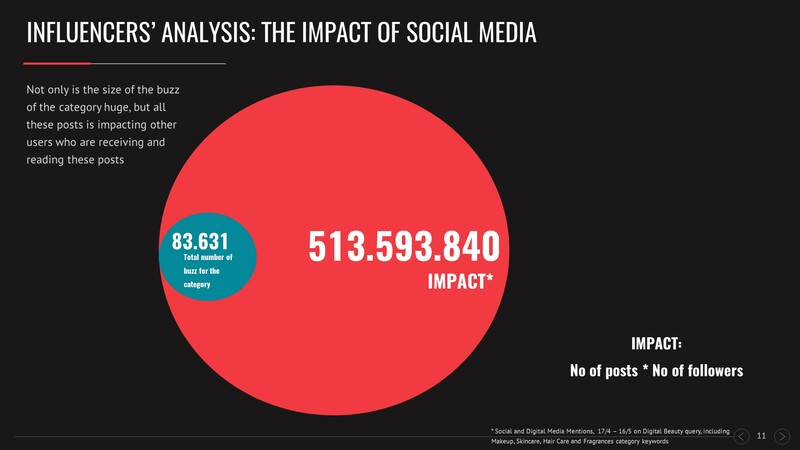 Influence's impact measurement is quite significant as it shows the magnitude of the influence among the social media users. One of the reasons why the subject of beauty has such great dimensions is the fact that the generation of social media is now experienced researchers. They are consumers who are looking for products that will buy Online, read advice, compare products, and create their own content. The influence of each social media user contributes to the final Impact of all categories. For this reason, the monitoring of corporate and product reputation in social networks is of paramount importance. Brands are now required to watch user reviews daily and to deal with them immediately. The importance of monitoring social media mentions is now necessary, but especially in the category of Beauty, it becomes imperative. Beauty brands should incorporate into their daily lives a social media mentions program that uses both systematic reporting of records and creative and quality data processing in such a way as to offer actionable insights. 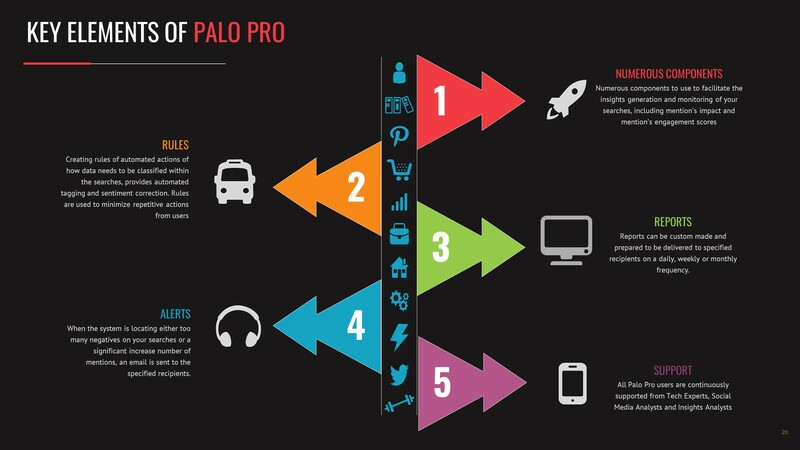 PaloPro, a systematic monitoring tool, collects in real time all reports from news websites, blogs, Twitter, Facebook, Instagram, forums as well as descriptions and comments from YouTube, analyzing about 85,000 texts / hour. 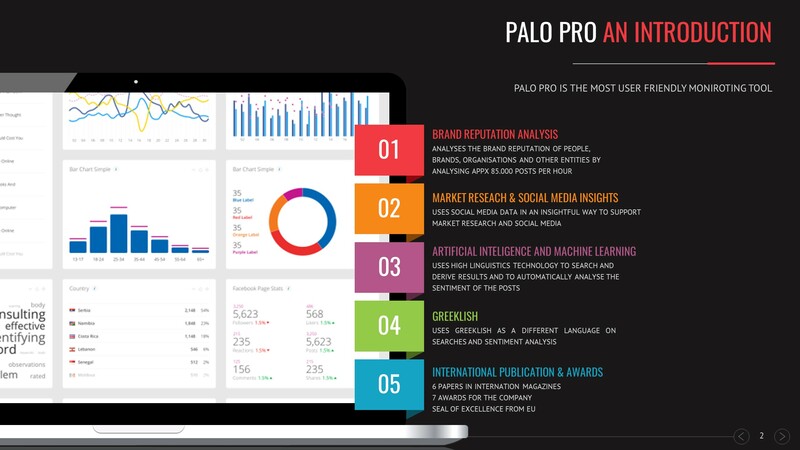 Using state-of-the-art linguistic technology for instant and accurate results, paloPro identifies and analyzes all online reports that shape public opinion and reputation of companies, products, individuals, organizations as well as their competitors. PaloPro is the most comprehensive online renowned corporate management service, award-winning e-volution awards 2014.